Raised on A ranch near the Tortolita Mountains near Red Rock Arizona. Gerry's dad was A musician playing for dances in little towns in the Tucson region. He later played for square dances at Old Tucson Studio's in the 50's. He taught Gerry and his brothers to play guitar, mandolin and bass during their youth. At 17 Gerry joined the US Navy, seen all that water and made it A career. During deployment oversea's he and his buddies played music for the crew. While home on leave or liberty he played music with his family. 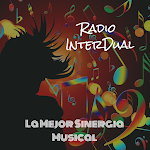 In the early 90's he began to sing at various bars and taverns. After 2000 he began to sing at karaoke bars. He performed at the Pima County Fair. He was urged by friends to compete in local contests. He was A finalist in the National Karaoke Idol contest. He then competed in the finals in Laughlin, Nevada. A scout there turned his name into American Auditions and was auditioned by Robert Metzgar of Capitol Management in Nashville Tn, with excellant reviews. He signed with A small indie label called Scarecrow Records and released A album (Gerry Lee Performs The Classic's From The Heart) He then signed A contract with Capitol Management/ Platinum Plus Records in Nashville and released A album called ; (Lov'n Country From The West). In May, 2010 he submitted his music to Allen Finch of Tate Music Group (TMG Records), and was asked to sign A contract and become A part of the Tate Music Family. 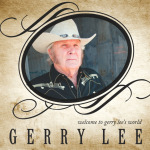 In October, 2010 he went to Mustang Oklahoma and recorded A 8 song album called (Welcome To Gerry Lee's World), which released on the 17th of May, 2011. The album includes some old classic's and three songs Gerry Lee wrote.